Driving a tank or an armored vehicle of any sort in a game like Battlefield may seem easy once you get the hang of the controls but truth be told, it’s incredibly difficult to pull off in real life. Complex controls aside, there’s another aspect that’s even more difficult to contend with: the fact that you can’t really see much of anything on account of all the armored plating designed to keep you alive. 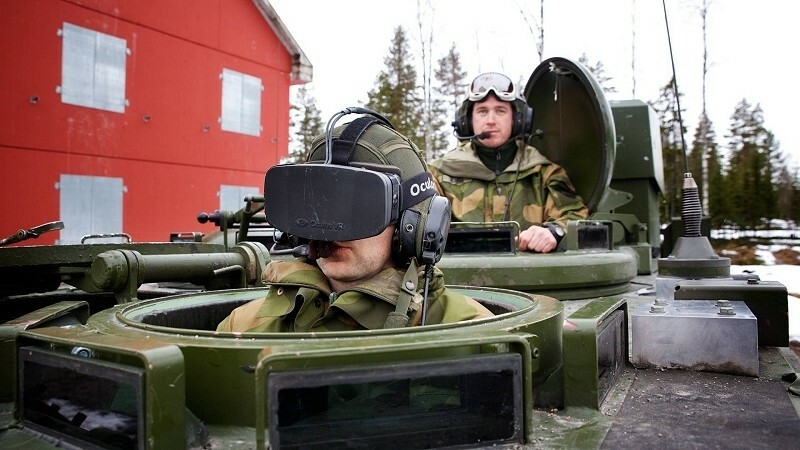 To help with that, the Norwegian Army is testing a new visual system that uses a combination of video cameras mounted on the outside of the vehicle that feed imagery to an Oculus Rift virtual reality headset. The cameras create a 360 degree view for the driver, allowing them to navigate the heavy machinery without having to look through tiny portholes. It’s even equipped with mission-specific overlays such as maps, just as you’d expect in a video game.